The Jones Assembly in Midtown OKC doesn’t pun(t) when it comes to exquisite food and drink. 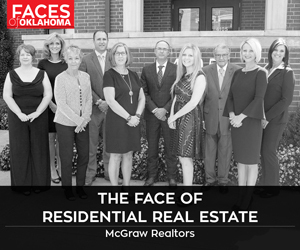 I have an underlying desire to start this piece about a new, exceptional dining/live music venue in Midtown Oklahoma City with something mildly witty about “Keeping up with the Joneses” or “Jones-ing for a new place to brunch,” but I resist. Regardless, when it comes to food and drink, this is a happy, hearty welcome to … The Jones Assembly. On the edge of Film Row once lived a Ford, Lincoln and Mercury automobile assembly plant opened by Fred Jones, legendary automotive entrepreneur and local hero. Fast forward to 2017 and that “they just don’t build ’em like this anymore” structure is open to one of the most multi-purpose food and beverage operations in OKC. Chef de cuisine Brittany Sanger, the reckoning force behind the TJA menu as well as the huntress of locally sourced ingredients, was hospitable enough not to kick me out of her culinary domain when I arrived unannounced. The enclosed kitchen behind the main bar is expansive and shiny. Natural light from south and west windows pour in with an intensity that matches the full line of cooks manning their stations. The exquisite kitchen has a wood-fired oven, sauce stations, grills and live herbs growing within a cook’s reach to garnish and flavor every dish. TJA’s menu mixes French café fare with a touch of Mediterranean and a noticeable nod to Oklahoma. 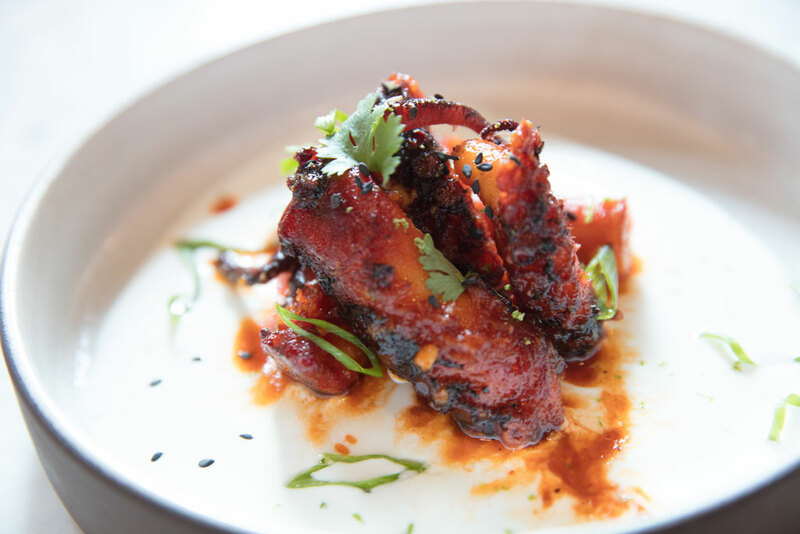 Creative and extraordinary starters include grilled octopus caramelized with a sweet Thai chili (think Sriracha style) glaze, resting on a mirror of labneh sauce, fresh lime and aromatic herbs. 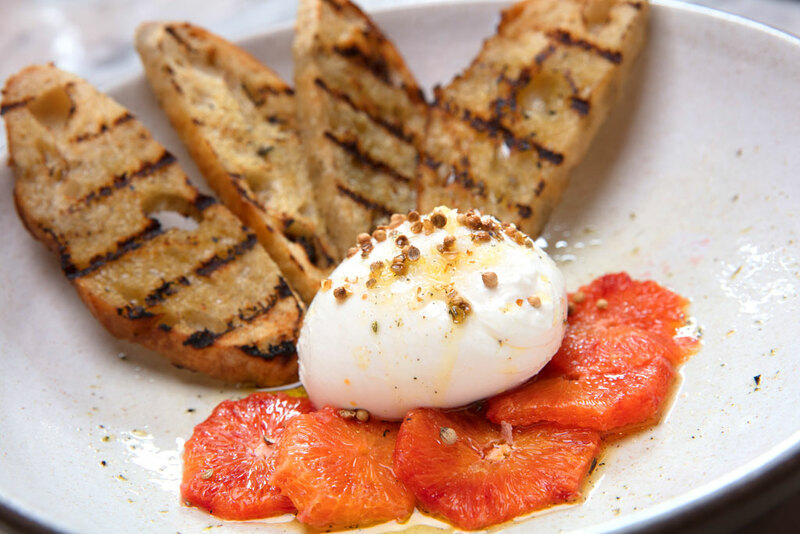 A bulbous serving of soft-flowing burrata cheese, lightly dressed with lavender oil and wheels of sharp blood orange, is accompanied by a grilled baguette cut on the bias. My favorite of the starters are dips and spreads. Many restaurants offer hummus and tzatziki, but not everyone pairs those with pimento cheese and a wood-oven blistered round of bread. Like having choices on a charcuterie board, this presents choices with spreads. As for entrees, the steak frites took me back to summers in France, with not only an entrecôte cut of a beef, but a sauce l’entrecôte on the side (think béarnaise without the hollandaise) to dip your steak and fries. The scallops are next on my list. 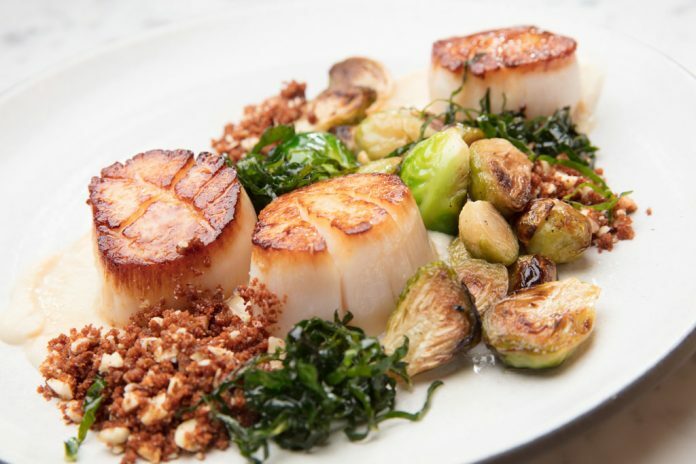 As a chef, I know if you cannot cook scallops properly and are unable to train your crew to cook scallops properly … do not have scallops on your menu. TJA nails the scallops: perfectly seared and caramelized on the outside while tender and juicy with every single bite. Accompanied with cauliflower puree, roasted Brussels sprouts and a light drizzle of brown butter vin, this plate is delightful. With other gastronomic sensations, such as scratch biscuits, fried okra and deviled eggs, there is something for everyone, including the “I don’t know what any of this stuff is?” guest. The octopus has a thai chile glaze with labneh, lime, cilantro and mint. The delicious bar and cocktail menu at The Jones Assembly is phenomenal. “A riff on the classics,” as explained to me by one of the bartenders upstairs on the mezzanine overlooking the impressive ground floor, describes what one might find on the cocktail end. For example: a classic French 75 begat TJA’s spicy, peppery version, the Jones 75, which definitely preps the palate for the meal ahead. Drinks are served with cloth, embroidered napkins for that authentic cocktail lounge feel. Other in-house cocktails include the Frose, a frozen slushy rosé wine cocktail with gin, strawberry and lemon, and the dreamy Disco Nap with tequila, Cointreau, sage syrup and blackberry. TJA has an impressive, diverse list for my fellow wine lovers. These grapes and blends have origins in Europe, South America and the West Coast … from Argentinian malbec to German gewürztraminer … by the glass or by the bottle. Bubblies are not to be ignored, with labels such as Schramsberg, Veuve Cliquot and Aubry Brut-Rosè for those celebratory occasions or no occasion at all, and a beer lineup would do any suds snob proud.